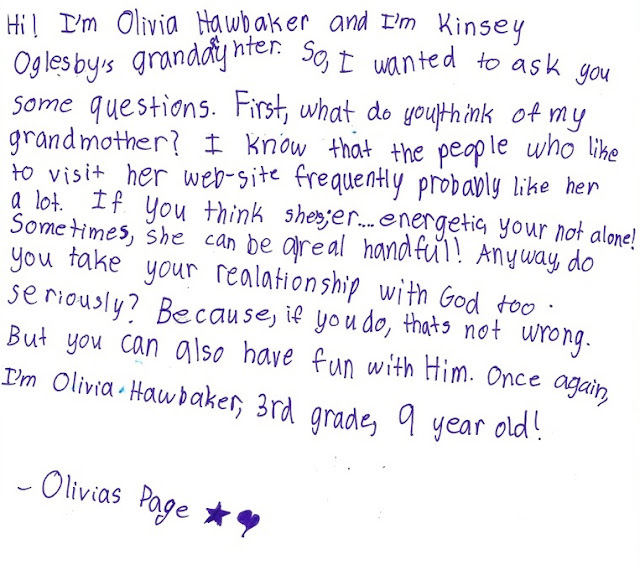 Today Olivia discovered that her Oma has a website. "I want to be on your website Oma!" "Okay Olivia, write something and I'll see about posting it. " Here's what she wrote. Love her.